Shapeshifting quasi-human felines, demons that walk upon ceilings, and a man with a super-sharp nose, oh my! 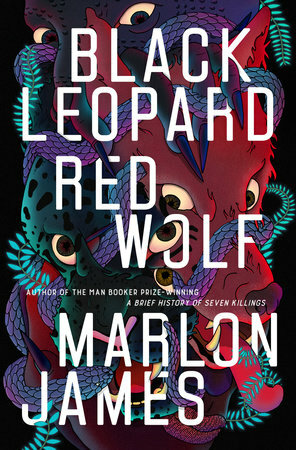 Marlon James’ latest novel “Black Leopard, Red Wolf” contains all of the above, telling the tale of a young man identified only by the nickname “Tracker” — given for his uncanny ability to locate items and people by scent alone — and his various commissions to hunt down lost possessions in strange, enchanted lands. James’ writing is gripping from the first page, crafting a world so full of culture and history that it becomes nearly real, though at times his wild descriptions and fast-moving pace can cause confusion and muddle the plot. Further, his anti-hero of a narrator is intriguing and well-fleshed out, although members of the huge supporting cast are hard to keep track of and seem disposable. While it’s too much to say that “Black Leopard, Red Wolf” redefines fantasy, its psychedelic twist on African mythology certainly brings fresh flavor to a genre that is so classically dominated by medieval European influences (think “Game of Thrones” and “Lord of the Rings”). At the start of “Black Leopard, Red Wolf,” Tracker leaves behind his parents and his home city of Juba for the primitive village from which his family originally came, hoping to find a sense of self amidst nature and a simple way of life. While there, he embarks on a ritualized journey into the wilderness to complete his transition into manhood. Along the way, he’s unexpectedly swept away by the Leopard, a creature that appears sometimes as man and sometimes animal, to aid in the task of rescuing “mingi,” abandoned children who are thought to be cursed because of their birth defects. So begins Tracker’s acquaintance and tentative attraction to the Leopard, with whom he’ll reunite later as part of a band of mercenaries on an epic adventure to find a boy who has vanished from the clutches of a slave trader. From the first chapter of the novel, James creates captivating structure and perspective for his storytelling. “Black Leopard, Red Wolf” begins in a prison where Tracker is being interrogated by a mysterious Inquisitor. Thus, James gives the end of the story to the reader and compels them to read on to discover how it started, effectively attracting the audience by building confusion. Further, Tracker directly addresses the reader with a scornful “you,” suggesting that they take the role of the Inquisitor and allowing them a truly immersive, intimate experience of the novel. On the other hand, when dialed back, James’ vivid descriptions can be one of the highlights of his writing the cornerstones of his fantastic world-building. He often invents creative turns of phrase that circumvent the common English word that would be used in a given scenario, such as “the noon of the dead” instead of “midnight” or “the goddess who hears man’s cry and returns the same cry” rather than “echo.” James also manages to weave information about the history of his fantasy world into his imagery, packing a double punch with lines such as “I heard once that the first builders of this city… were just trying to build towers tall enough to get back to the kingdom of sky and start a war in the land of the gods.” With ingenious manipulation of language, James artfully crafts a rich culture within his novel that is distinct from reality. On the note of characters, Tracker first appears to be a classic anti-hero who finds others’ lost possessions for the thrill of a challenge and the promise of reward rather than out of the good of his heart. However, there’s still something uniquely charming about the disparity between Tracker’s words — “nobody loves no one” — and vulnerability in his actions, such as when he is nearly brought to tears during his reunion with the Leopard after a few years apart. Despite the likeability of Tracker, many characters in the huge supporting cast — various witches, village men, queens — are introduced, then killed off or pushed into the background after they serve their purpose to the plot, thus weakening the writing. Does “Black Leopard, Red Wolf” have a plot trajectory that generally follows that of the classic “Hero’s Journey” and a protagonist who is the definition of anti-hero? Yes, of course, but the story’s great appeal isn’t so much driven by its defiance of genre conventions but rather the mystery about just how the staples of fantasy will unfold within the confines of such a wildly different setting and cast of characters to our typical medieval European fare. “Black Leopard, Red Wolf” might not revolutionize the fantasy genre, but it’s certainly an engaging read that should be praised for its great imagination.